I've duplicated the DB37 on the case, as well as a D9 for the serial connection and a 4 way power for a wideband sensor unit. The only mod to the MS was the fabrication of a larger heatsink which doubles as a mounting bracket at one side. Although upwards pointing D connectors would have made things easier than the standard 90 degree ones. It retains the flapper AFM - but all that is actually used in it is the ATS. So the flappers could be removed to improve air flow. My own Rover SD1 which uses this system has been modified for EDIS as well as MS, so I've not been able to fully test my 'plug and play' conversion - but it seems ok on my spare complete inlet manifold in the workshop. I'm in the planning stages of Squirting my fathers 86 SD1 Manual... I like the idea of using as much of the original loom as possible! Your setup is a good starting point. Was just wondering what the 25pin connector on the left is for? 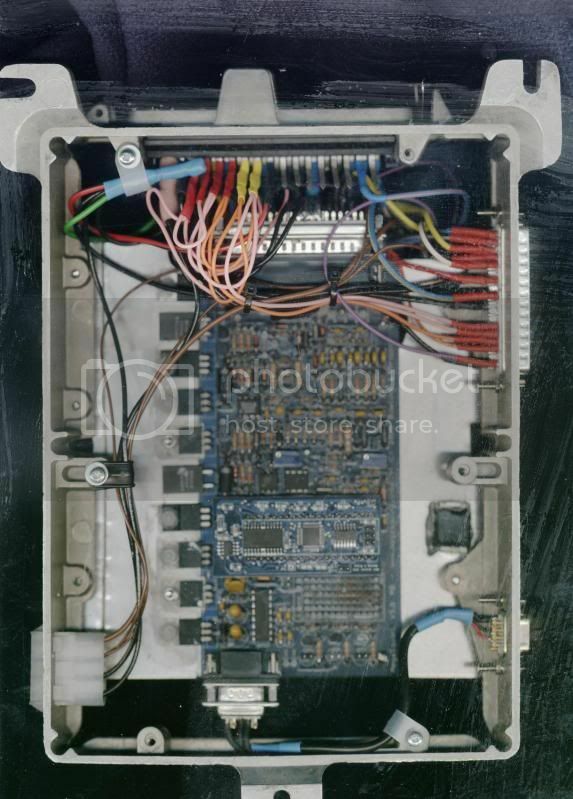 Do you know where I can find a Rover wiring diagram?